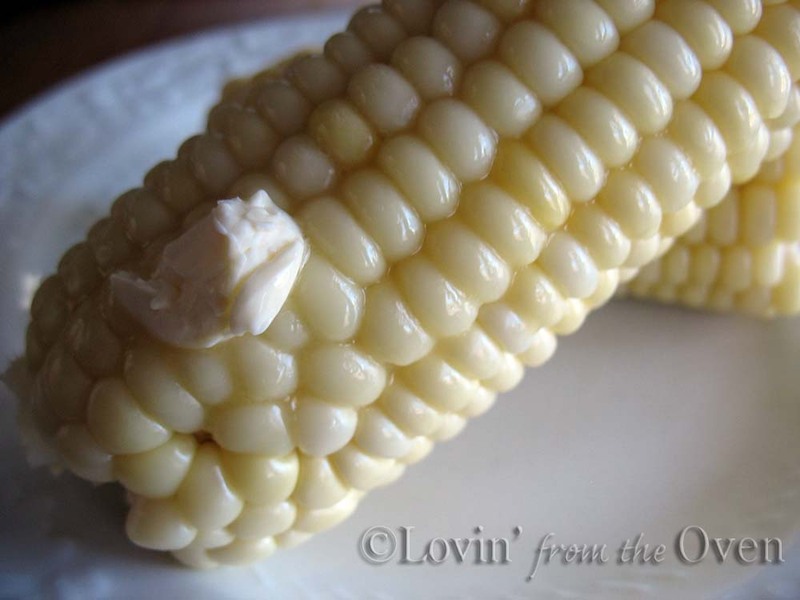 As a young girl, I loved eating corn on the cob. 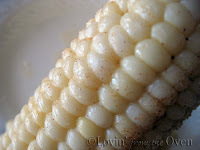 What I didn't like was eating the remaining strands of silk that were stuck between some of the kernels. 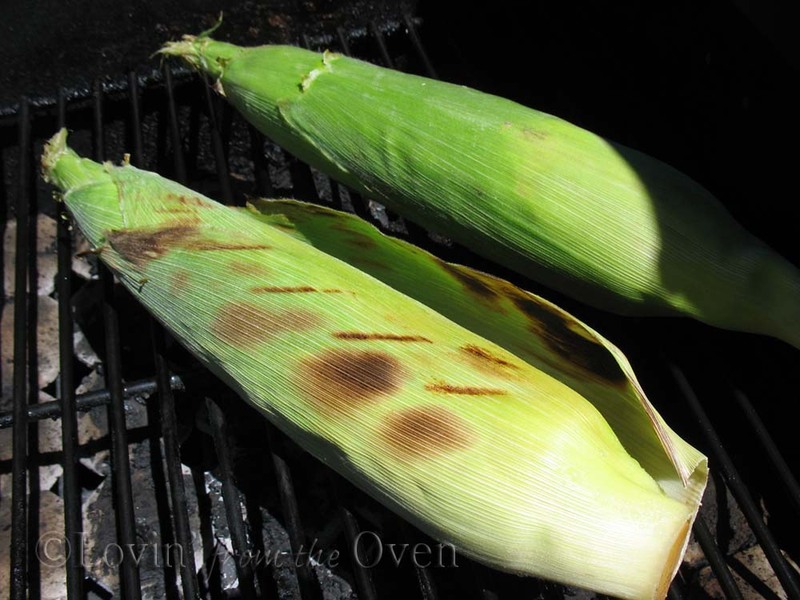 Earlier in our grilling days, we would throw the husked corn on the cob directly on the grill. What we got in return was corn that was dried out and charred. Now, we have a better method! 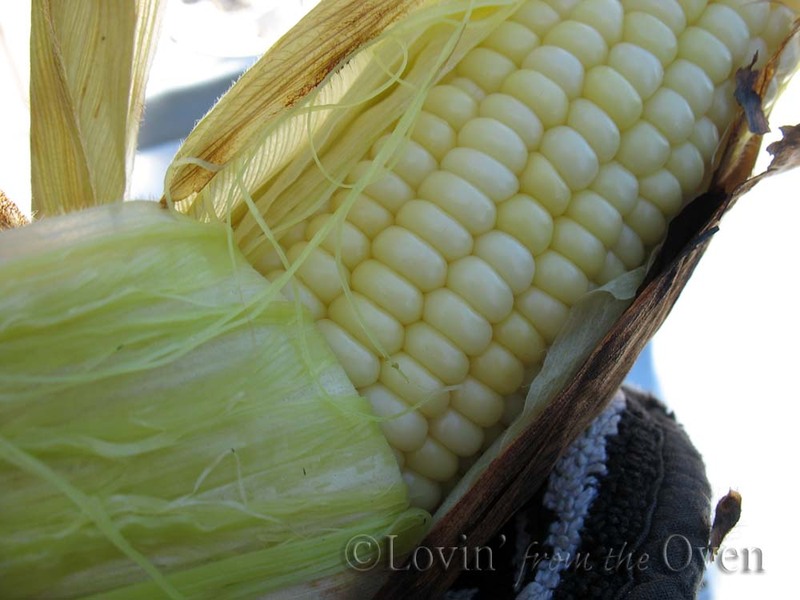 To start, choose green, firm corn with no spots discolorations. Fill your sink with cold water. Put your corn in it. The corn will have a tendency to bob and float, so find a heavy pan or object that will hold the corn underwater. One of my stoneware pans will do the trick. 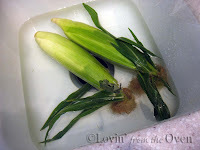 Allow the corn to soak for 2-4 hours. 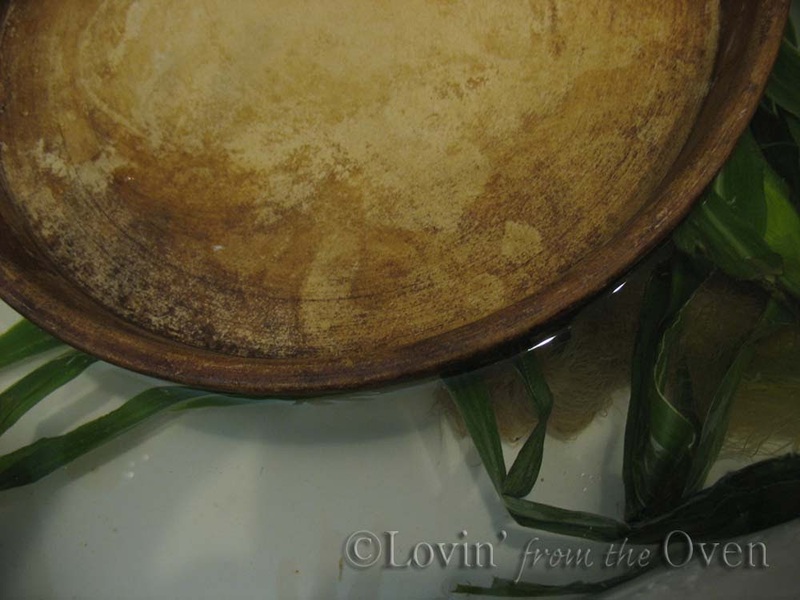 Trim any long leaves, drain and place directly onto a heated grill. My propane gas grill is on medium-high. Cook, covered (uncovered for coal grills) for 15 minutes. Turn and cook for an additional 15-20 minutes. Grab some hot pads and peel back the husks. ALL of the silk will magically peel right off! Serve immediately with butter and choice of seasoning. Sweet. Buttery. Nothing says summer quite like this! Thanks for the tutorial. I've never grilled corn but plan on trying it this year. I can't wait for corn on the cob to start showing up at our Farmer's Market here. I have had grilled corn often but have never made it myself. It is so good though! 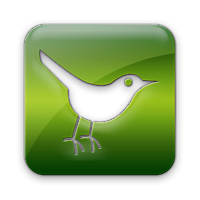 I should be making it myself! This makes my mouth water. The corn is beautiful. Nothing says summer to me like grilled corn on the cob. This looks to die for! I've always loved corn on the cob! 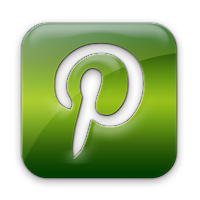 So great to find your blog! What a great tip, I have always wanted to try corn on the grill, but I never knew how to do it. Thanks!